Restaurants are a difficult place to eat on a whole foods diet. A night out with friends or family can be a fun treat. But one of the keys to maintaining this diet is learning to cook your own food at home. 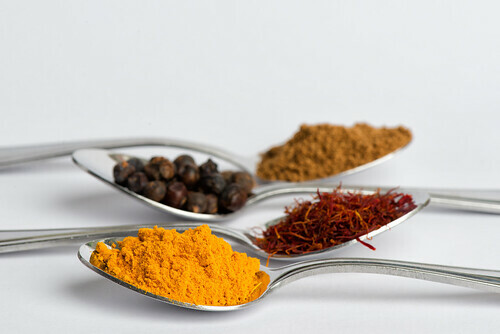 One of the best ways to get restaurant quality food at home is to learn how to use spices. Before buying a spice rack, or jars for storing bulk spices, it is important to learn a few ideas. Most spice racks have three types of items: dried herbs, ground spices, and whole spices. Understanding how to use these three is an important part of cooking. When shopping for spice racks most people see jars full of preground spices. Some of these, like tumeric or paprika, are difficult to find whole. Paprika is a dried and ground chili pepper. That makes it difficult for most people to make their own. Before buying ground spices remember that the essential oils in spices lose their flavor over time. Grinding them accelerates this process. It is a good idea to avoid purchasing any spices that are pre ground unless that is the only way you can find them. Most people regularly use a pepper grinder. These are filled with whole peppercorns to give you fresh cracked pepper. For many of us, that is the only whole spice in our kitchen. In reality, most spices we buy should be whole. Whole spices stay fresher longer and are often cheaper. Cumin, allspice, cinnamon, and star anise are all spices that are easy to find whole. To use them, simply find a cheap coffee grinder and grind your spices right before cooking. To avoid any strange flavors, it is best to have a grinder devoted entirely to spices. For extra flavor you can toast your whole spices on a dry pan before grinding. This helps to bring out the flavor in the oils and gives off a nice smell. Dried herbs are the third common part of a spice rack. Oregano, parsley, basil, and even dill are all common dried herbs. Like spices, they lose their flavor over time so it is best to only buy enough for 3 months at a time. One trick to bring out the flavors in these herbs is to smash them between your fingers, or in your hand, right before use. Like grinding spices, this releases the oils in the herbs to make the flavor more intense. Learning what to look for when stocking your spice rack is important. Remember to buy whole spices whenever possible, use a grinder right before using the spices, and pinch your dried herbs as you are using them. These tips will keep your herbs and spices fresher longer and help your natural foods taste better! You gathered these tips just in time. I want to update my blog about air fryers https://airfryersreviews574170915.wordpress.com/2017/12/11/different-types-of-fryers/ and this information is very suitable for this topic. Thanks! This is the superb guide to buy and using spices.